Contents 6 Newsmakers » 12 Why the soft market will end » Reinsurers don’t need a catastrophe to push rates up, says General Re’s global chief Tad Montross. 16 Reinsurance: high-pressure business » The Gulf of Mexico oil spill illustrates how major catastrophe claims can spread far and wide, too. peopleNEWS 56 The next generation » Meet six dads and their children who keep the ‘family’ in business. 18 The 20 most influential people in insurance » Meet the ‘go-to’ people of 2010 – the individuals who wield power and influence the industry’s direction. 32 Huffing and puffing, made to order » A new US insurance research facility can duplicate windstorms, hail and wildfires. 34 The West Outlook » CGU’s chief executive quits to be with his family. 36 Insurers held to ransom » The insurance industry has little power to control rising violence, as Somali pirates demand millions to free hostages and cargo shipments but the United Nation says ransom payouts could be intensifying the problem. 40 African Express » How an insurance company formed to open up risks in South Africa has expanded all over the world – especially Australia. 46 Storm clouds looming » Aviation insurers are operating in an increasingly crowded market. 48 A bad year for airline insurers » More accidents, more fatalities, rising claims, falling premiums. 50 Flying up the front » QBE Aviation celebrates 50 years of service. Right man, wrong three letters Early in September insuranceNEWS.com.au reported on London scuttlebutt that former Aon Australia Chief Executive (and most recently No 1 man at Aon UK) Peter Harmer, above, was about to join QBE as heir apparent to the legendary Frank O’Halloran. As the speculation went viral the normally reticent QBE finally admitted Harmer didn’t feature in its succession plans, and that O’Halloran intended to be around for a good while yet, thanks. About six weeks later Harmer – who quit the UK job in June last year – did emerge as the new chief executive of… CGU. He replaces Duncan West, who has resigned from the Melbourne-based CGU job to spend more time with his young family at home in Sydney [see article, page 34]. Mike Wilkins, the Chief Executive of CGU’s parent company IAG, says Harmer’s 30-year career has included senior roles in underwriting, claims, reinsurance broking and commercial insurance broking. “His depth of experience, established relationships and proven leadership qualities make him a valuable addition to our organisation.” Harmer’s other recent responsibilities at Aon included being Chairman and Chief Executive of Aon Re, Chairman of the Lloyd’s Market Reform Group and a member of Aon’s global executive board. Since arriving in Australia in 1999, Hollard has invested in a wide range of insurance enterprises and is seeking more [see article, page 40]. It also has insurance businesses in Africa, the UK, the US and Asia. Credit code quandary An insurance premium financier is joining a growing number of companies calling for broker exemptions under the new National Consumer Credit legislation. Introduced in 2009, the law prevents brokers from arranging pay-by-the-month schemes for clients unless they hold a credit licence or comply with “reasonable lending obligations”. However, insurers were given exemptions under this rule, which many believe should be applied across all sectors of the industry. The Insurance Premium Financiers of Australia (IPFA) has joined with the National Insurance Brokers Association to call for all brokers and funders to be exempted after Adelaide premium funder Principal Finance negotiated its own exemption. Chairman Bob Dodd says IPFA members have had “a number of positive meetings” with the Australian Securities and Investments Commission and Federal Treasury over the issue. He says the application list for exemptions has grown beyond the IPFA membership, which is a positive step towards gaining an industry-wide solution. NZ: shaken and very stirred It’s been a rough few months in New Zealand’s South Island. As the country counts the cost of the September earthquake that rumbled across the eastern province of Canterbury and crushed the main city of Christchurch, on the other side of the island last month 29 miners died in a series of explosions in the Pike River coal mine [see page 8]. Between the two disasters had come an unseasonal snowstorm that blanketed much of the southern half of the island, killing livestock and crushing the roof of a sports stadium in the southern city of Invercargill. The storm caused $NZ47 million ($36.6 million) in insurance claims, including the $NZ25 million ($19 million) cost of the stadium repair job. The uninsured damage bill was much higher, with farmers anticipating their losses to be as high as $NZ100 million ($77.9 million). The Christchurch earthquake has already been declared the largest insurance event in New Zealand’s history, with the repair bill continuing to rise. The NZ Treasury says Earthquake Commission (EQC), private insurance and individual costs may reach as high as $NZ4 billion ($3.1 billion). The EQC faced its own aftershocks with homeowners voicing their discontent over the time taken to process claims and start repairs. But it says it’s processing up to 1000 claims a day. Matcham takes the ARPC plunge: Former Lumley Chief Executive David Matcham has taken over the top job at the Federal Government’s Australian Reinsurance Pool Corporation (ARPC). Matcham, who replaced Neil Weeks in October, worked at Lumley for more than 32 years before leaving in June 2009. The Federal Government established the ARPC in 2003 following a number of insurers withdrawing clients’ terrorism cover. Weeks, a former Chief Executive of Darwinbased TIO, had been with the ARPC since the beginning. He stepped down following his official retirement in July. Winners are grinners: These five award-winning professionals have plenty to smile about at the annual industry awards night organised by the Insurance Brokers Association of New Zealand. From left they are Michael Carswell of NZI (Emerging Professional Insurer of the Year), Dean Garrod of McLarens Young (Loss Adjuster/Assessor), Nigel Grantham of Willis (Broker), Allan Beverwijk of QBE (Insurance Professional) and Conal Beban of FMR Risk (Emerging Professional Broker). Vero was voted Insurer of the Year for the sixth time in eight years. Neal moves up: John Neal has been appointed to the new post of Chief Executive of Global Underwriting Operations for QBE from January 1. He is at present Chief Underwriting Officer of QBE’s European operations. Neal will be responsible for the underwriting operations of QBE’s three new geographical divisions – the Americas, Europe and Australia Asia Pacific, and the divisional chief executives, Group Actuarial Officer, Group Chief Risk Officer, Global Head of Distribution and Group Human Resources “will report to him on all matters relating to the role’s responsibilities”. The long-running battle for the local operations of financial services company Axa Asia-Pacific Holdings (Axa APH) took another turn last month when major rival AMP came back to the party with a higher offer. Following the Australian Competition and Consumer Commission’s rejection of a bid by the National Australia Bank, Axa APH’s minority directors agreed to get into detailed merger talks with AMP. AMP has come up with a new offer to buy out the minority shareholding, offering $13.3 billion. It will then sign over the company’s lucrative Asian operations to Axa APH’s French parent, Axa SA, for $10.4 billion. Axa SA owns 51% of Axa APH, but is precluded by legislation from taking over the company. It has been trying for several years to take over the Asian business and had a similar agreement with the bank if it had succeeded. But despite AMP and Axa APH signing a binding agreement there are still a number of hurdles to be faced, including obtaining shareholder and court approvals and the green light from Federal Treasurer Wayne Swan. Axa APH’s minority shareholders are expected to vote on the deal around March. The general insurance industry may have escaped the worst ravages of the global financial crisis, but the Australian Prudential Regulation Authority (APRA) says general insurers still need some close monitoring. During the 2010 financial year APRA also conducted a survey of stress-testing undertaken by general insurers and says it found room for improvement. 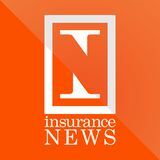 FROM THE PUBLISHER It’s now nearly three years since Insurance News was launched with a promise that we would continue to develop new services for our subscribers. Much of the action in the past year has revolved around our core product, the weekly online insuranceNEWS.com.au, which hosts an expanding range of services. Last year we launched Links, which contains more than 500 direct website links to insurers, brokers, adjusters, underwriting agencies, government bodies, trade associations, premium funders and insurance lawyers. A one-stop portal to the industry at large. In March we launched our Jobs website, which we believe is the cheapest and most effective insurance industry online recruitment channel around. Feedback from recruiters has been excellent. At the same time we introduced Moves, a service to keep subscribers informed of the various personnel appointments around the industry. that the insurance cover involves various sub-limits and stand-down periods which are common to “such policies issued by international insurers”. Although Pike River has not divulged who the insurers are, Insurance News understands it’s a London-based consortium. In a bid to keep the mining corporation out of administration, its creditors have agreed to put their loans to the company on a 90-day standstill. Late last month Prime Minister John Key announced the appointment of High Court judge Graham Panckhurst as the royal commissioner in charge of the official inquiry into the Pike River disaster. Two people with expertise in mining safety and regulation are being sought to assist him. Mr Key says an international mining expert will also be recruited to carry out an urgent safety audit of all underground mining in New Zealand. By John Wilkinson cient capital to withstand the risks they have reinsured, they will cover they claims. “The capital markets also have a role to play in ensuring there is sufficient risk capacity for more extreme events.” Raising capital to cover these risks means the reinsurers’ credit ratings play an important role. S&P has warned that some reinsurers will have to be re-rated in light of this year’s catastrophes, but no action has been taken yet on any reinsurer. “One of the elements of our enterprise risk management analysis is emerging risks, assessing the extent to which reinsurers have established practices for identifying, preparing for, quantifying and mitigating against unknown or large-impact, hard-topredict and rare events,” Mr Coleman says. “This assessment is incorporated within the overall rating.” The S&P rating process also looks at capital stress and the ability of the reinsurer to withstand a one-in-250 years catastrophe loss. Although many reinsurers are operating at a discount to book value, which may make it hard to raise extra capital following a major catastrophe, history shows this is ignored when the call goes out for more capital. This was the case after the World Trade Centre and Hurricane Katrina losses, Mr Coleman says. “New capital is usually raised after a big loss as investors look at the expected price increases that usually follow such losses.” The Gulf of Mexico oil spill might grow into one of these catastrophes and the reinsurers will have a number of years to raise capital for claims. Another major oil spill – the Exxon Valdez grounding in Alaska – is still working its way through the courts and claims are still being settled 21 years after the event. But always waiting in the background are other major catastrophes, such as the Chilean and Christchurch earthquakes this year, which have the potential to put even more pressure on * the reinsurers. LAST DECEMBER INSURANCE NEWS PUBLISHED A LIST OF THE 20 most influential people in risk insurance. Our intention was to explain to readers why some individuals are the “go-to” people of the industry. The list included several surprises – two government regulators, for example – and attracted an unexpected amount of comment, most of it favourable. People found the list educational and thoughtprovoking. The people we listed were “the go-to people of risk insurance [who] influence attitudes and shape opinions inside and outside the industry”. They’re the professionals who make things happen. They’re influential through the authority of their position, by their profile in the business and by their qualities of leadership. Last year we started our list by asking our editorial team who they thought were the movers and shakers in general insurance. After all, they speak to industry leaders and managers at many levels every day, and they know who is admired by their peers and highly regarded in the wider industry – and why. This year we also asked a number of high-level contacts in the industry for their input, which we found very valuable and sometimes surprising. As you would expect, there are many on our list who featured last year. But as we noted then, the industry changes quickly, and nearly half of the people on this year’s list weren’t there last year. A list limited to 20 people logically has to exclude people who perhaps deserve to be mentioned as industry influencers, but who for many reasons don’t make the cut this time. This year we’ve also added a new list of “people worth watching”, who we would expect to see on this list in the future. We don’t expect readers to agree with all our selections, but if it provokes discussion about the qualities and responsibilities that make people influential, we’ll be happy. wants to achieve. QBE Australia continues to win brokers’ accolades year after year, but the local branch’s big-bang growth opportunities are limited at present. Nevertheless, his acumen and his foreign successes ensure Frank O’Halloran still casts a very big shadow in the local business scene. Chief Executive Insurance Australia Group He’s been around for years managing the complexities of large insurance companies selling many products through different channels, and his achievements have made Mike Wilkins a bit of a shareholders’ darling. When he took up the reins at IAG in 2008 after Mike Hawker gave up trying to restart the stalled company, Wilkins gave employees and shareholders hope that the worst was over. After putting people he trusted into the top jobs, he did nothing dramatic but stuck to his knitting, concentrating on such fundamentals as appropriate pricing, underwriting risk selection, claims management and cost control. Having weathered QBE’s 2009 merger overtures, IAG’s rising results have seen the group’s self-confidence return. Usually a behind-the-scenes player, he’s media-friendly and happy to discuss wider industry issues like taxes on premiums, the economy, underinsurance and noninsurance. Softly spoken but very aware of his ability to influence governments and public opinion, Wilkins is an industry go-to person. Growth is now back on IAG’s agenda, with a joint venture in India looking very attractive and UK assets trimmed back. Charming, ambitious, ruthless, articulate, clever, impressively connected, a super-networker, consultative, results-driven – they’re all words that have been used to describe the new Financial Services Minister, whose slightly sinister reputation as a Labor Party toe-cutter is balanced by admiration for what he achieved in his previous role as Parliamentary Secretary for Disabilities and Children’s Services. Shorten is the former national secretary of the powerful Australian Workers Union and replaced Chris Bowen in the financial services portfolio following the federal election in August. So far he has concentrated most of his efforts on sorting out the superannuation industry, because it needs sorting out. Whether he will get to the complex issue of commissions on intermediated risk insurance products – an issue many (but not necessarily the Government) see as a purely life insurance issue – isn’t clear at this point. But it is a reform that has been recommended and is likely to have popular support, so it’s possible Shorten could hold off doing anything about commissions until the Greens assume the balance of power in the Senate next year. Entering Parliament at the 2007 election as MP for the Victorian seat of Maribyrnong, Shorten was the best-known parliamentary rookie of all time thanks to his television exposure during the Beaconsfield gold mine collapse and rescue the year before. Often touted as a future Labor Party prime minister, his contact with insurance has been peripheral – pushing hard for a national disability insurance scheme in his last portfolio and acting as the Federal Government’s go-between with victims of the Victorian bushfires. While financial services is a good non-cabinet portfolio to build experience in, intermediaries should hope he’ll find superannuation reform takes up all of his time. Wesfarmers has made it very clear in the past year that it likes general insurance and is in the industry for the long haul. Rob Scott, a highly qualified manager with a broad range of business experience, has the job of developing Wesfarmers’ investments in insurance broking (OAMPS in Australia and the UK and Crombie Lockwood in New Zealand) as well as direct insurance (Wesfarmers Federation Insurance) and intermediated insurance (Lumley in Australia and New Zealand). Of course, he’s also deeply involved in the Coles supermarkets insurance venture, which this year went national. Scott has built a strong management base and has invested heavily in the businesses he controls. He’s open in his belief that Lumley Insurance in Australia could attain fourth spot in terms of intermediated business, and says Lumley NZ still has plenty of potential. The broking businesses are tending more to organic growth as purchasing opportunities dry up, and several under-performing businesses have been shed in the past year. As a mover and shaker, Scott faces new challenges through his appointment to the presidency of the Insurance Council of Australia from January 1. He certainly has the drive to help the council develop a more active role as an advocate for the general insurance industry. When former high-profile politicians are appointed to run trade associations, it’s usually because the organisation wants to trade in on his/her political contacts and media profile. That may have been the thinking behind the appointment in July 2009 of former New South Wales opposition leader John Brogden to run the Insurance and Financial Services Association (IFSA), an organisation highly regarded as a research-driven group with a softly-softly approach to the wider world’s issues. Brogden swept all that away in June when he announced the rebranding of IFSA as the Financial Services Council, with a more confident agenda more in line with the sector’s prominence in Australia’s economy. With the power of the $1.4 trillion retail and wholesale funds management, superannuation and life insurance industries behind him, Brogden is pursuing a much more active role in Australian public life, pushing for a “big Australia” in population, tax reform – including a higher GST rate and the abolition of inefficient state taxes – and positive regulatory change. As life insurance continues its unprecedented growth spurt – admittedly from a low base – Brogden is the right person in the right place to ensure issues like underinsurance and non-insurance are understood and acted on. As debt in the community rises, the importance of life insurance rises with it. And Brogden also has crossover to general insurance through a number of his members. The Financial Services Council could yet emerge to be the organisation whose views can’t be ignored. Where are they now? John Trowbridge, Executive Member, Australian Prudential Regulation Authority – #2 last year: Retired in July at the end of his second three-year appointment. Terry Ibbotson, Chief Executive, QBE Australia – #4: Became QBE’s Global Head of Distribution in April. Chris Bowen, Federal Minister for Financial Services – #5: Became Minister for Immigration and Citizenship following the August federal election. Kerrie Kelly, Chief Executive, Insurance Council of Australia – #9: Quit late last year to become Director-General of the Association of British Insurers. Resigned from that post in July. Terry Towell has been there, done that. He managed NZI and Suncorp’s general insurance operations before constructing the Allianz Australia powerhouse. He’s been a leader in the industry through some of its most troubling days – like the collapse of HIH in 2001 – and is highly respected w i t h i n the Allianz organisation. He’s been a member of the German group’s international executive committee, which advises the board of directors, since 2000. A conservative player in the local industry and a low-profile player in business circles, he’s respected for his tough and uncompromising attitude. Allianz says its Australian arm is “one of the group’s leading companies in terms of growth, profitability and efficiency”. Russell Higginbotham, Head of Australia and New Zealand, Swiss Re – #11: Appointed Swiss Re’s Head of UK and Ireland operations in June. Graeme Samuel, Chairman, Australian Competition and Consumer Commission – #13: With top-level industry mergers now unlikely, his oversight is now more likely to be consumerdriven. Duncan West, Chief Executive CGU – #15: Resigned in November. Steve Lardner, President National Insurance Brokers Association – #17: Retires this month as president. Keith Stern, General Representative for Lloyd’s – #20: Became Lloyd's Regional Manager UK and Ireland in July. Anthony Day Chief Executive Commercial Insurance, Suncorp At this stage in the development of the resurgent Suncorp, it’s pretty much impossible to separate these two movers and shakers. While Group Chief Executive Patrick Snowball takes the running on the “one company many brands” strategy for the overall group, success nevertheless hinges on the performance of the general insurance operations. Milliner – who represents Suncorp on the Insurance Council board – has built a reputation for effective recovery strategies, and has worked closely with Day to reinvigorate Suncorp’s insurance lines and its financial fortunes. Their plan to build united pricing, claims and distribution to work across all the group’s general insurance brands is being watched with considerable interest. Milliner is regarded as a strategic thinker and leader, and while Day brings similar qualities to the equation, he’s also a competitive player in the complex commercial insurance area. Balancing the service mix right for some big money-earners like AAMI and APIA against the more bare-bones approaches of the personal lines niche brands is the sort of juggling act Milliner enjoys. But the biggest growth potential rests with the commercial insurance operation, where Day and his team are investing heavily in technology to gain the ascendancy in an increasingly fractious market. Working together is going to be the only way through for these two increasingly influential executives. Steadfast is a powerful broker cluster group whose potential is remarkable. Robert Kelly has been a primary mover and shaker since its earliest days and few would dispute his influence and presence in the wider industry. Kelly commands the nearadulation of his members, whose 280 brokerages and more than 400 offices give Steadfast remarkable leverage in the industry. With premium income of more than $2.5 billion, the group is the largest cluster of all, and it’s also the one to watch when it comes to the development of radical solutions. Kelly is driven by the need to open up new opportunities for his members, and his support of the controversial Steadfast Virtual Underwriter platform has put him offside with a number of powerful insurers. No new technology is easy (or cheap) to develop, but if vision and determination count for anything, Kelly will have his day. Steve Nevett Chief Executive Aon Australia When you run the country’s biggest insurance brokerage/risk consultancy/many other things besides, you tend to get noticed. Steve Nevett has been Chief Executive of Aon Australia since 2007, and has fostered the local operation’s growth into many different areas. If it’s in any way associated with risk, Aon seems to have a service to match. Nevett has well over 35 years’ experience in the business, working with such underwriters as Commercial Union and FM and major brokers Marsh and Sedgwick. He tends to take a holistic view of the industry, making public statements over the past year or so on subjects as varied as the need to present a united front to attract high-quality recruits, pushing the industry’s role in disaster recovery exercises and the need to blow its own trumpet more, as well as the essential nature of risk management. Nevett joined Aon in 2002 and after a stint managing the vital corporate client portfolio moved into the chief executive’s chair in 2007. He’s regarded as an excellent networker and adviser, and has runs on the board for growing the big client sector by 24% in a few years. He still maintains close links with some of Aon’s largest clients. Aon claims to be the largest organisation of its type in the Australia-Pacific region, with about 1600 employees. Melbourne-based Nevett is running a powerhouse whose influence – when he chooses to use it – is strong. Like Steve Nevett at Aon, John Clayton would probably have a much greater influence on industry affairs if he only had the time. He has been the Chief Executive of Marsh in Australia and the Head of the Pacific Region since July last year, and the job is doubtless a demanding one. With more than 37 years’ experience in the insurance industry, the last 21 with Marsh, Clayton commands a workforce of about 1000 working across many parts of the industry. The broking game at the giants like Aon, Marsh and JLT has become very different from that played by their smaller competitors, with a holistic approach to risk management, advice and placement befitting the major industries they routinely deal with. But as competing in the top end of broking becomes increasingly complex, Marsh is also working successfully in the “new battleground” – middle and SME markets – areas in which Clayton has considerable experience. Highly respected within the industry and a confident speaker, Clayton represents Marsh with aplomb. #12 Allan Manning Managing Director LMI Group If there’s a mega-claim happening somewhere that involves complex corporate issues, the chances are Allan Manning will be involved. This qualified accountant with a doctorate in business administration is the best-recognised loss adviser/adjuster in Australia. He has been working on high-level claims since the late 1980s, and founded the LMI group in 1999 – a company with two arms dealing with losses before and after they occur. The developer of such innovations as PolicyComparison – a webbased training and comparative tool – he has also developed online services supporting brokers in such classes as business interruption, business continuity and industrial special risks. He routinely appears in court cases as an expert witness, has also developed an academic career alongside the business and has written nine books on insurance. His passionate campaign against the Victorian fire services levy went further than many industry associations’ efforts, and now he’s focused on the levy in New South Wales. The NSW Government should be worried. Damien Coates Chairman Underwriting Agencies Council There was always going to come a time when the Underwriting Agencies Council (UAC) would realise that its combined weight is considerable. Damien Coates took over as chairman of the council last year, and immediately set about putting it on the path to achieving its potential. Last year he surveyed his underwriting agency members to establish they have more than 1600 people working with a combined premium income of more than $2.5 billion. This year Coates has launched new partnerships with legal and educational suppliers, and begun establishing a new professional qualification aimed specifically at employees of underwriting agencies. He also intends to build a higher profile for the council in industry affairs, and has worked on building a closer relationship with the Lloyd’s market. Coates is the Managing Director of Dual Asia Pacific, which he set up in Sydney in 2004 to operate in financial lines and accident and health. It now has $60 million in premium income and 45 staff in five cities. Last year he took the company into Hong Kong, along the way forging an important Asian underwriting alliance with Mitsui Sumitomo Insurance Group. With 18 years’ international experience in a number of markets and an irrepressible enthusiasm for keeping things moving along, Coates is well on the way to lifting underwriting agencies into the industry’s mainstream. Vince McLenaghan has moved through many high-profile roles at QBE in the past few years. In the past year alone he has been Group Chief Operating Officer, Chief Executive Australia and now chief executive of one of the group’s three geographic operating units. A likeable and shrewd operator, this 35-year industry veteran has had little opportunity yet to establish himself within the local industry’s powerbrokers, but it’s only a matter of time. The super-sharp Australian operation remains important to QBE, even if growth from here on is more likely to be based on relatively small acquisitions. But the company remains the trendsetter in Australian commercial insurance, routinely pulling in major awards for service and excellence. QBE’s John Cloney, Raymond Jones and Terry Ibbotson before him served persuasively on industry bodies like the Insurance Council, and McLenaghan is no back-seat passenger either. He’ll be a strong advocate for the industry – and, of course, for QBE’s considerable regional interests. Everyone, it seems, wants to dethrone Leon d’Apice and his Sunrise Exchange platform from its pre-eminent role in online quoting and placement. Since 2007 Ebix Australia has gradually been adding capacity and capabilities on to the platform and to the equally dominant WinBEAT broking system it also owns. Ebix and d’Apice continue to be the target of complaints from insurers that Sunrise Exchange is simply too expensive. His counter is that technology isn’t cheap and the alternatives are more expensive and less reliable. While broker groups and some insurers are developing their own systems to bypass Sunrise Exchange, none have yet pierced d’Apice’s imperturbable calm. Discussing the purchase of the BrokerCentral system by cluster group IBNA in October, he noted that the insurance IT road “is littered with corpses”. Ebix spent $50 million buying Sunrise Exchange and millions more developing it. d’Apice doesn’t intend his operation will ever be roadkill. Chief Executive Zurich Financial Services Australia Experienced, professionally adventurous and forthright, David Smith is gradually building a new understanding in the local operations of the Swiss-owned company, embedding the fact that Zurich isn’t just a top six performer in the Australian market but also a key part of a major global insurer with massive leverage, financial stability and expertise at hand. New managers in Zurich Australia’s corporate, wealth management and general insurance arms are helping to boost the company’s local operations in an increasingly competitive environment. Smith ran IAG New Zealand before moving to Zurich Australia in 2006, and during a two-year term as President of the Insurance Council of New Zealand he earned a reputation for his consultative approach to issues involving insurance and the wider community. In Australia he introduced flood cover for Zurich’s commercial clients and then advocated universal flood cover – an approach that hasn’t been popular in conservative corners of the industry. A constant spruiker of insurance and its value, he says insurers need to do more to lift their profile as a valuable friend of the community when disaster strikes. Managing Director Munich Re Australia The two major reinsurers have real power in the Australian insurance industry and also the wider community. If the reinsurers raise their rates, they’ll bring to an end a prolonged hard market, with the additional costs rapidly being passed on by the insurers to their customers – adding just a little more pressure to inflation and rising costs. Heinrich Eder is a career-long Munich Re man who is recognised at all levels of the industry and at many levels of government. A compelling speaker on difficult subjects like climate change – where Munich Re has long been an opinion-leader – his company’s influence on a reinsurance-reliant Australian industry is significant. And alternatively, he’s a good advocate for Australia with the numbers men back in Germany. Lach McKeough Chief Executive Austbrokers By Lach McKeough’s measure, the past year has been a relatively quiet one for Austbrokers. There’s a drought in good brokerages for sale at present – he expects 2011 to be better – while rates are soft, investment earnings are lower and organic growth is difficult. Through it all Austbrokers continues on its winning way, ending the last financial year with a 14.4% increase in net profit over 2009. McKeough has been with Austbrokers from its unlikely beginnings in 1985 as an offshoot of an insurance company, taking it through its public listing five years ago and always keeping the profit meter ticking over. Today the company is also a significant operator of underwriting agencies – their combined annual premium income is $75 million – and working through the Austbrokers/IBNA joint venture provides Austbrokers with 120 brokers and a considerable market edge. He has around $20 million sitting in the bank for acquisitions, so expect McKeough to be shopping around as the economy perks up in 2011. As a young gun whose company sits at the edge of the top five insurers, this Indian-born technocrat with the common touch is taking Lumley Insurance on a fascinating journey. Once regarded as an unexciting mid-tier insurer with not a lot of future, Lumley under Bhatia’s guidance (and Wesfarmers’ cheque book) has developed in massive leaps. Bhatia’s rise within the rapidly growing Wesfarmers Insurance operation has been dramatic. With degrees in engineering, business administration and finance, he worked as a business transformation consultant before joining QBE Mercantile Mutual in 2003, moving through a succession of jobs there and at QBE before joining Wesfarmers Insurance as Chief Operating Officer in January 2008. A year later he moved across to Lumley as chief executive. What followed involved some top-level redundancies, an equally impressive recruitment of key managers and a redrawing of the company’s strategic plan. Earlier this year Lumley launched its corporate solutions department – a move that signaled the insurer’s determination to claim a place in the top five. Apart from power and know-how, Bhatia also has a patient sole shareholder to bankroll his growth plans. It will be interesting to observe how he positions his re-energised company during the next year. Doyle worked for AIG in some far-flung corners of the empire before joining Zurich Australia earlier this year. His most recent posting was as Senior Vice President Financial Lines for AIG UK. The general insurance role at Zurich is equivalent to a chief executive role in other general insurance operations, and Doyle hasn’t been slow since his arrival in setting the company off in some new directions. New initiatives include upgrading Zurich’s online platform and a bold plan to cut pricing by as much as 20% in a wide range of products to boost its exposure to brokers. Bright and inspiring, Johnson’s been climbing the executive ladder at IAG since 2001, and held a range of senior jobs at the insurer before getting the New Zealand posting a few months ago. She set up The Buzz, IAG’s first online insurance business, but has also handled tricky assignments in areas like risk management, workers’ compensation, affinity groups and so on. Adept at organisational effectiveness, the Auckland-based job will give her some valuable experience in managing a significant insurance operation with multiple distribution channels. Running the risk insurance side of APRA is a job for a heavy-hitter, and Ian Laughlin has the experience to carry the load. He replaced John Trowbridge on the APRA executive group in July for a three-year term. An actuary with senior management experience at AMP, Suncorp and National Mutual, he also has extensive board experience. While his introduction to the industry has been relatively low-key to this point, there’s a range of reforms coming the industry’s way over the next few years. So expect Laughlin to become a much more familiar name and face. Currently QBE’s Chief Underwriting Officer in Europe, Neal will take up his newly created role in Sydney on January 1. He will be responsible for underwriting in all the group’s divisions, and oversee the group’s actuarial, risk and human resources groups. Neal is a man on the rise. Until 2004 he owned Lloyd’s managing agency Ensign, and later joined the QBE European Operations board. He became Managing Director of QBE Europe in 2005, Chief Operating Officer of European Operations in 2007, and Chief Underwriting Officer for European Operations in 2009. Mark Senkevics Head of Australia and New Zealand, Swiss Re An Australian who joined Swiss Re in Australia in 2003, Senkevics moved back to Australia in June after five years in Taiwan and Korea. As the past few years of wild weather and massive property claims have demonstrated, reinsurance is something local insurers have to get right. And as one of the leading catastrophe reinsurers, Swiss Re’s role is very important inside and outside the industry. The local insurance market and weather risks are rapidly changing shape, so Senkevics has been busy since his return mid-year getting the company’s priorities sorted. layered hailstones of different shapes and sizes similar to those found in the field following a storm. Other hail testing centres use steel balls instead of ice and only use one ball at a time. “We plan to deliver multiple hailstones at the same time, which would be unique,” Ms Rochman says. The only weather events the centre can’t test for is floods and earthquakes. While flood effects can be fairly easily replicated anywhere, several laboratories IBHS partners with already have extensive earthquake research facilities. Ms Rochman says the centre aims to strengthen the relationship between theoretical and real building performances. She says proving the affordability and value of better building structures is one of the key long-term goals for the project. “This will enable commercial and residential builders to identify more resilient and durable construction materials and techniques. “They can then make better choices when building, renovating or recovering from loss,” Ms Rochman says. General results from experiments will be released to the public but more specific “granular level” findings will only be shared with IBHS members. Ms Rochman says use of the Fortified safer house system is gaining greater interest from the insurance industry, policymakers and the building industry. One US state has even passed new legislation for a mandatory reduction in property insurance rates for all new and existing houses that meet the fortified standards. Several other insurers are also offering incentives to builders to use the standards. Ms Rochman says she hopes the centre will able to work with agencies across the globe, including Australia, in researching better ways to protect against * natural catastrophes. It’s designed to help shipowners to deal with issues such as threats to the crew, how to communicate with the pirates and how to address ransom demands. As the Somali pirates expand their areas of operation, marine insurers are keeping a wary eye on other coasts around the world where impoverished fishermen in lawless countries could follow the Somalis’ lead. “It’s a 16th century problem with a 21st century twist,” one insurer told Insurance News. “You can’t just eliminate the problem on the world’s oceans – something has to be done about neutralising where these people come from. “Otherwise the weapons are going to get bigger and the dangers more acute.” For marine insurers, protection of their customers’ ships and cargo remains the main focus of their role. And if that means paying pirates to secure the freedom of crews and cargoes, then that’s how it has to be until * someone comes up with a better idea. IN 1960 SOUTH AFRICAN BROKER PATRICK ENTHOVEN HAD A PROBLEM. THE COUNTRY’S UNDERWRITERS WEREN’T INTERESTED IN HANDLING SOME OF HIS CORPORATE CLIENTS’ RISKS, BUT PATRICK WAS FOCUSED ON SOLUTIONS AND WASN’T ABOUT TO LET A BIT OF INSURER APATHY GET IN HIS WAY. WHICH IS WHY HE FORMED HIS OWN INSURANCE COMPANY. “They say that all the best businesses grow out of a particular need,” he says today, sitting in the boardroom of Hollard Insurance high above Sydney’s Hyde Park. “We bought a dormant licence for 200,000 rand, which would have been about $30,000 in Australian dollars. Even by the terms of those days, it was a paltry sum.” He called the new company Hollard Insurance because the Johannesburg stock exchange was in Hollard Street. “We thought it added just a little bit of respectability.” Patrick’s brokerage was established by his father Robert, and had grown into one of South Africa’s largest. This year he passed on to his son Richard a much larger legacy – the chairmanship of the Hollard Group, a global company with strong ties in some unexpected places. Hollard is the largest independent insurer in South Africa, and also has operations and investments in a number of other African countries as well as Australia, India, Pakistan, China, the United Kingdom and the United States. It provides insurance products and services to more than 6.5 million customers globally, employs more than 1500 people and holds assets exceeding $1.7 billion. And while Hollard keeps on growing, it does most of its business so quietly that many people don’t realise just what an insurance powerhouse it is. Specialist areas of general aviation flying, such as ballooning, have also not escaped the impact of the financial downturn, but changing weather patterns in Australia have had a bigger impact. “The weather pattern of the past few years has resulted in a decrease in ballooning activity, far more than the global financial crisis,” says Honan Group National Account Manager Wayne Cottier. Lower levels of discretionary spending among Australians has meant balloon companies have had less customers. Honan Group covers the majority of balloon flying in Australia. The Civil Aviation Safety Authority says Australia has 322 balloons. in all of the regions so far this year, but the fact that exposure also appears to be recovering from the ravages of the global economic downturn suggests that confidence is returning to the sector,” the report says. The insured world airline fleet is now valued at $US158.9 billion which is up 9% on the previous year, the report says. “At 36%, Africa has seen the most significant increase in average lead hull and liability premium so far in 2010. “One African airline has experienced a premium rise of about 80% compared to the cost of its 2009/10 insurance program. “The increase is mainly the result of a major loss coupled with a significant increase in average fleet value and forecast passenger levels,” Aon says. By comparison, lead hull and liability premium for airlines in the Middle East have * grown by only 5%. Where there’s smoke, there’s dust The NSW Dust Diseases Tribunal deals itself into a bigger caseload By Andrew Spearritt, a partner, and Helen Woods, a solicitor at Curwoods Lawyers A RECENT CASE IN THE NEW SOUTH WALES COURT OF Appeal has significantly expanded the jurisdiction of the state’s Dust Diseases Tribunal, by allowing the definition of “dust” to include smoke. In March 1992, Joanne Turner, an air hostess on the now-defunct East West Airlines, was on a flight between Sydney and Brisbane. As the aircraft was descending into Brisbane, smoke entered the cabin for about 20 minutes. The immediate effect of that smoke on Ms Turner included coughing, a burning throat, sore eyes and a headache. Thereafter she suffered from a persistent cough and in November 2001 she commenced proceedings in the Dust Diseases Tribunal seeking damages. Under the NSW Dust Diseases Tribunal Act 1989, the tribunal has exclusive jurisdiction to hear and determine claims in which a person is suffering, or has suffered from, a “dust-related condition”. This is defined in the Act as being a disease specified in Schedule 1 (such as asbestosis), or alternatively, any other pathological condition of the lungs, pleura or peritoneum that is attributable to dust. It was agreed that Ms Turner did not suffer from a disease specified in Schedule 1, so the issue was whether her injury was a condition of the lungs “attributable to dust”. The word “dust” is not defined in the Act, so the tribunal was required to consider its meaning. At trial, it was determined that the substance ingested by Ms Turner was smoke emanating from oil in an auxiliary power unit within the tail of the aircraft. The trial judge described the substance ingested by Ms Turner as containing ultra-small particles of carbon, which would be recognised by most people as a dust and more specifically, as an aerosol containing solid matter. He held that Ms Turner’s condition was “attributable to dust” and therefore the tribunal had jurisdiction to determine the claim. East West appealed, arguing that the legislature had never intended smoke to be included in the meaning of dust. But the Court of Appeal held that what was being challenged by East West was a factual finding, and accordingly it was not appealable. It said there was ample evidence for the trial judge to find that the specific smoke to which Ms Turner was exposed could be correctly described as dust. East West then applied for special leave to appeal to the High Court, arguing that its challenge related directly to the tribunal’s jurisdiction. It said whether oil smoke could be described as a dust was itself a question of law. But the High Court refused the application, saying there was no reason to doubt the tribunal had made the correct determination. The High Court’s findings significantly expand the jurisdiction of the Dust Diseases Tribunal. Clearly all smoke contains particulate matter, and the same could be said of any airborne substance such as fumes or vapour. Therefore cases involving firefighters, tobacco smoke, industrial exposure and related occupier and public liability cases could all conceivably be brought in the tribunal. The tribunal has a number of significant advantages to plaintiffs seeking damages for personal injury. With very few exceptions there is no limit to the damages awarded; there is no limitation period; and the plaintiff can seek an award of damages on a provisional basis. It will be interesting to see whether or not the New South Wales Government will now amend the Act to provide more clarity to the question of precisely what substances may or may not be a “dust” within the * meaning of that Act. CHARTIS IS USING NEW TECHNOLOGY in a bid to move ahead of the field in management liability cover. After months of discussions with brokers, it has launched its PrivateEdge product as an Australian market “first”. It says PrivateEdge, which can be accessed via the Sunrise Exchange platform, is the first product of its type and capability to be offered through Sunrise Exchange, according to Chartis Regional Manager of Financial Lines Michael Pryce. He says that unlike other web rating programs, PrivateEdge is a true life-cycle product that only requires data to be input once to get a quote or receive policy documentation. Traditionally online platforms have required repetitive data input from brokers to be able to provide a comprehensive quote. “For the first time brokers are not required to key information more than once into their broking systems which link through to Sunrise Exchange,” Mr Pryce says. The program also provides brokers with a “Quick Quote” function giving them the ability to get a quote with minimal information. Mr Pryce says having an inflexible management liability product has always been a problem for brokers and their customers, and predicts PrivateEdge will revolutionise the way they do business. “Currently, brokers and clients can select only the covers and limits required – either an aggregate limit or separate towers.” Historically, the industry has been faced with this restricted approach to management liability cover, but this new program is set to change that. “Our findings indicate clients only wish to arrange and pay for covers and limits that they actually need,” Mr Pryce says. “Clients now have total choice in building the policy they need. They can choose the sections of cover they require, and not be forced into buying them all. “PrivateEdge allows brokers and clients to buy what they want and need rather than be sold a ‘one size fits all’ policy.” He says Chartis has been thrilled with the response to the new product so far. “We have taken a consultative and methodical approach to the launch, choosing to individually train brokers and staff, and the results we have seen in the first four weeks are on track as expected.” In a bid to broaden the product’s scope, Chartis is also working on setting up a webbased broker portal for those who don’t use Sunrise Exchange. This will be available in early * 2011.
this would lead to brokers transferring their business to insurers for their “pay by the month” facilities. PBM is a simple one-page deduction authority which continues on renewal of the policy. The client pays 12 equal monthly instalments. It introduces “Accept On Net”, a feature which allows clients to complete the PBM application either by sign-and-return or electronically over a secure internet site – delivering efficiencies to brokers by removing the need for staff to scan, send and file applications returned by mail. Mr Palyga says PBM gives brokers the benefit of a premium paid in full. “This does away with receiving commissions a little at a time and adds the benefit of accelerated trust account income.” Other benefits include increased client retention, ability to add a broker fee, funding commissions and competition for direct writers * and financial institutions. INSURANCE BROKING IS A RELATIVELY YOUNG BRANCH of a venerable industry. Many of the brokers who started up their own businesses 30 or 40 years ago – most came from the ranks of the underwriters – are now contemplating retirement. On the following pages you’ll meet just a few of the fathers and their Generations X and Y offspring who work together. Some fathers have already handed over control of their company, some are now moving towards a handover and some are just starting to think about it. While many of these brokerages have since become part of larger groups, there’s still dozens of the so-called “family businesses” around. And many of the veteran brokers at their helms are experiencing the pleasure of handing over to their children. What becomes clear from these snapshots of family businesses in various stages of transition is the mutual respect fathers and children have for each other as they work side by side. As we noted in a cover story last year, Generation X is taking over from the Baby Boomer generation, and things will never be quite the same again. SON: DAMIEN LANE, 33 DIRECTOR IT’S A STORY THAT HAS BEEN TOLD TIME and time again in the insurance industry, but Damien Lane has no other way of explaining how he came to be working at the family firm. “I guess I just fell into it,” he says. “I never had any intention of working in insurance.” But that all changed about 10 years ago when his father, Terry, was given the opportunity to buy out the controlling interest in the business. “We brought out the other partners and I then joined the business,” Damien says. Although working for Colonial at the time in superannuation, insurance had never been a path he was interested in taking. But the opportunity to work towards something bigger – the family business – was not to be passed up. Damien says it’s a great honour to be able to one day take over the family business alongside his brother Justin. The two siblings and their father “have never had a problem working together”, and Damien says it was “really easy” making the transition from Colonial to the family business. “We all work well together,” he says. Like many families in the same situation, the Lanes try to leave the business talk behind at the office, but he says it’s not always possible to ignore something that may need discussion. “We do talk a bit about work and if we do, away from the office is a good place to do it,” Damien says. next generation and is taking the business where it should be heading,” he says. At home, the Browns never really escape from the business, with office matters never far from conversations. “With my two daughters in the industry conversation inevitably comes around to insurance – but not all the time,” Mr Brown says. WORKING IN RECEPTION FOR THE FAMILY broking business wasn’t really far from where Cameron McCormick wanted to be. Growing up around insurance, he’s always had an interest in financial services. He says if he hadn’t been offered a job in the family business in the Victorian regional city of Bendigo, he would probably have opted to study insurance at university. “It’s something I have thought about for a while – it’s always been on my mind,” he says. “It would be great to stay in this job for a while. It’s a really great environment and I’m just lucky I got the opportunity.” Cameron says growing up around the family company has made it very easy for him to transition from school to work. “I already knew everyone here, so it’s a good thing working for the family business,” he says. Although he doesn’t really see his father Tony that much at work, Cameron says working in the office has proved to be a steep learning curve. “He’s in Melbourne a lot, so most of the time we talk over the phone, but I have definitely got a different grasp of Dad and how he works in the industry.” Although still living at home with his parents, Cameron says he prefers to leave the business behind at the office. “It might come up if you’ve had a busy day, but I really like to finish the day off and not talk about it,” he says. SWAPPING HIS BRICKIES’ TROWEL FOR a suit and tie was never high on Trent Brown’s list of priorities, but a call from his father changed all that. Like so many in the insurance industry, he just fell into it and soon found out what all the fuss was about. “I was never much of a scholar and I never thought insurance was for me but I didn’t realise how much fun it would be – I just love it,” he says. He had been working as a bricklayer and has almost finished his degree in sport science when the call from his father came. “An opportunity came up when dad was setting up another part of the business and needed someone he could trust.” Although working with family can often be an intense situation, the Browns don’t seem to have a problem. But they do try to keep business at the office when they’re at home, and they enjoy family life. “We’re also trying to give Dad as much spare time as we can. Our goal is to get him out to the track as much as possible as he’s got a racehorse that’s going really well at the moment.” Trent has never regretted the move to insurance, saying it’s “like being part of a big extended family”. pletely in their stride. “I have always had good relationships with all my employees, and Angela and I have always had a very good relationship – we never fight,” Mr Driessen says. At home they talk little of business, preferring it be “family time”. Mr Driessen says he strongly believes people need to take time to have a “break away” from the pressures of business. All class at UAC’s first training day The Underwriting Agencies Council (UAC) has broadened its training program following a successful professional development day. It was the council’s inaugural training event and was held in conjunction with UAC’s training provider, the Australian and New Zealand Institute of Insurance and Finance. It attracted about 85 participants, made up of UAC members and staff. Council Chairman Damien Coates says a massive transfer of knowledge specifically targeted at the underwriting sector made the day a huge success. Participants were given plenty of information on topics as diverse as regulatory obligations to relevant legal issues and even time management. Following the training day’s success, the council is investigating running it in Melbourne as well, and plans are also underway to run another similar training day next year. Lawyers and insurance people make a happy mix A cocktail party again proved to be a great excuse to bring together young professionals from the insurance and law sectors for a night of great entertainment in central Sydney. The Australian Insurance Law Association’s “Spring Fling” networking event attracted almost 500 professionals from both industries at the city’s exclusive GPO. Traditionally the legal and insurance fraternities work closely together, so there was – as usual – plenty to talk about. Things go better with Vero awards Cocktail hour was the perfect way to toast Vero’s fifth annual RMAdvancer Awards. And who better to raise a glass to than… Coca-Cola! The awards recognise the best work of risk managers, and this year leading beverage company Coca-Cola Amatil won the RMAdvancer Achievement Award for its efforts to reduce site and operational hazards at its Kewdale facility in Perth. Major entertainment group Amalgamated Holdings won the RMAdvancer Advancement Award in recognition of its work in improving attitudes and approaches to managing risk in its Event Cinemas division. More than 110 people attended the function in October, including clients and major international brokers who work with Vero’s Global and Risk Management team. Suncorp Commercial Insurance Chief Executive Anthony Day (left) presented the awards. Creating a precedent… Insurance and financial services bosses didn’t mind admitting defeat to their more junior colleagues at the Create Foundation fundraiser in November – after all, it was for a great cause. A “Beat the Bosses” trivia night was held at Doltone House in Pyrmont, raising more than $100,000 towards supporting young children and adults in the home care system. More than 250 professionals were put to the test with quiz questions ranging from insurance to music, movies and a “that’s embarrassing” category. Bosses and their teams could also purchase “elevator insurance” for $50 to ensure they where bumped up a level when the scores were counted. The big winner on the night was the Calliden team. Blue Eagle builds relationships Allianz Australia took its Blue Eagle broker development program on the road in September and October to celebrate phase four of the initiative. The program, which was launched in 2008, aims to further strengthen relationships with brokers by tailoring a series of financial and nonfinancial benefits to meet their individual needs. Those selected for the program are chosen on their future potential, their relationship with Allianz and the amount of premium they place with the insurer. More than 200 Blue Eagle participants attended lunch or dinner functions in Perth, Brisbane, Adelaide, Melbourne and Sydney where the latest benefits of the program were outlined. During the roadshow Allianz announced that Blue Eagle and selected brokers will now be able to access professional indemnity cover via Sunrise Exchange. I LIKED MARK BOURIS’ COMMENT AT THE NIBA convention that businesses in Australia stop for the Melbourne Cup and never really get going again until February. While I do wonder what life must be like in his alternative universe, there’s a smidgen of truth in what he says. Let’s face it, very few of us scurry back behind our desk the moment the race finishes on that first Tuesday in November. Hell, half of us have been stuck in a bar or restaurant since 1pm, and we ain’t going back. Which proves the Melbourne Cup really is the race that stops a nation. But do we stay stalled until February? I mean, there’s all of November to go before you get to December. And then there’s Christmas and all that, and then there’s January when the city streets are empty and… Bouris has a point. Look at all the big merger deals. They never happen in mid-summer – that’s when the bosses are all out on the tennis court, swapping suggestions for future conquest. The takeover – er, merger – will be all set to go by autumn. There’s only two exceptions to the “never in midsummer” rule. If you work for a North American or European company – and I know many of you do – they’ll either want to haul you up to their end of the world for a weeklong planning conference beginning on January 2, or suddenly want to buy something. Not a Christmas present, a company. Now. It’s not that they don’t know you’re stuck in the office talking to them on the phone for days and nights on end while the weather is wonderful; it’s just that they don’t care. They’re cold and miserable, so live with it. They love those year-starter meetings, and they envy Australians their summers. To make matters worse, the Poms are in town and the Ashes are up for grabs. So hope and pray you won’t be hearing too much from them Up Top. I’m sure CGU has thought through all the “disgrace” elements. They’ve just taken up a seven-year sponsorship deal with Melbourne AFL club Collingwood, Australia’s largest sporting club. I guess they know what they’re doing. After all, Aon took over from AIG sponsoring Manchester United, and QBE is welded on to the Sydney Swans. But anyone who follows AFL knows that you’re either a Collingwood supporter or you’re not. And if you’re not, you’re really not. You barrack for your team or any team that’s playing Collingwood. 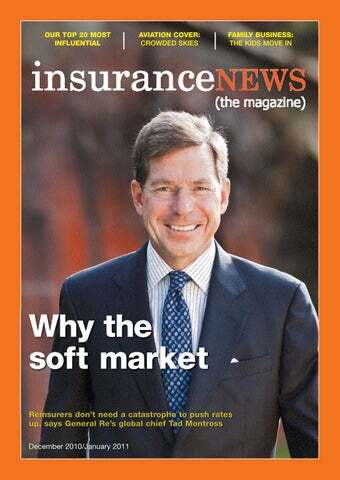 The folks who run Insurance News are in the “really not” category. But CGU is a major sponsor of insuranceNEWS.com.au. Imagine if you will the howls of consternation when they realised CGU was going to plaster Collingwood logos all over their precious website. I suggested they needed embarrassment insurance, but their laughter was a bit forced. I notice there’s an article about pirates in this issue. I was in a bar a few weeks ago when someone heard I worked in insurance and asked me if I’d ever considered how much money could be made from insuring pirates. After all, he said, they’re out there day after day pirating in one of the most heavily patrolled areas in the world, risking life and limb in bad weather, climbing up the steep sides of ships, hauling around heavy weapons – they don’t even have workers’ comp! Do you realise, he said, how dangerous it is hefting a rocket-propelled grenade launcher over the ship’s rail, fearful that at any moment twitchy-fingered Ali coming up right behind you might twitch? And what do they do with all the ransom money? They buy Range Rovers. And are they insured? There has to be a business opportunity there somewhere for a very brave broker. Well, it was fairly late at night. I make these points for anyone who might be remotely interested in exploring the subject further. Don’t tell them I sent you. Have a terrific summer. We’ll be back – like Mark Bouris – in February.